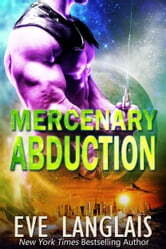 Makl is looking to become the greatest mercenary the universe has known. In true family tradition, he leaves a trail of mayhem and bodies wherever he goes. steals the most priceless of items, ravishes females left and right. But that all ends the day he comes across the biggest prize of all – a human barbarian. Fooled into thinking her a priceless virgin and captivated by her pale skinned, two-breasted frame, he abducts her, or at least means to. His plan goes somewhat awry. The not-so-innocent human becomes his partner in crime instead of his prisoner, and together they form an unstoppable duo. Tales of their misdeeds and budding passion become a universal sensation, but there’s no room in a mercenary’s life for a mate. Or is there? For the first time in his life, the Mercenary’s Guide to Prosperity doesn’t have an answer to Makl’s questions, and there’s no visible threat for him to kill. What’s a poor, purple mercenary to do? Admit he’s in love – or ditch the delectable human? Langlais yet again puts pen to paper to create a story that I won’t soon forget. She took me out of this world with her vividly visual descriptions and endlessly entertaining plot. This novel is fast paced and action packed. I love Langlais’ character names. They’re definitely unique but still easy to remember and say. The alien names definitely stand out from the much more standard human names that she uses. The banter and squabbling between Makl and Olivia was the focal point of their relationship and lots of fun to watch. Not only did it add to the story, but the characters revealed a lot about themselves and each other through it. I loved Makl and how he lived by the mercenary rules, even stating them to himself when they were relevant. It not only gave a peek into his overly rigid personality, bent on being the best, but also what it means to be a mercenary universe-wide. Rule #5 was expecially comical. I enjoyed finding out what it means to be successful in Makl’s mercenary family and the fact that even above that, family means everything. The way that she develops Murphy is priceless. He adds to much to the story and definitely some comical moments too. The mysteriousness of who and what he is, combined with the real repercussions of getting on his wrong side was fantastic. The implications of Murphy’s Law are endless. Ifruum was also a peach. His knowledge and know it all personality really endeared me to him. 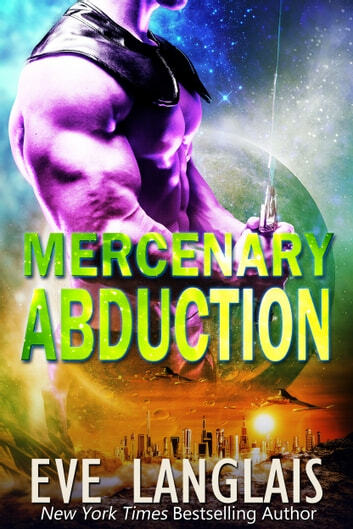 This novel was definitely a welcome addition to Langlais’ Alien Abduction series. She continues to develop the world and culture of her chosen aliens while also entertaining readers with an adventurous, fast paced, spicy story.